Colorado is highly regarded for many things, mostly associated with our state’s natural beauty and resources. But did you know that Colorado also has some of the most highly regarded experts in criminal justice reform? traveled to Suriname to assist with juvenile justice reform. 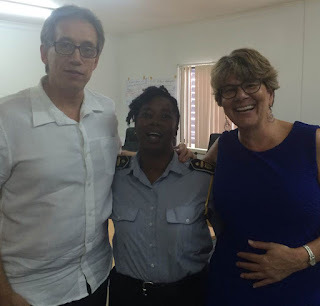 Earlier this year, when the South American nation of Suriname turned to the U.S. Office of Juvenile Justice and Delinquency Prevention for help in juvenile justice reform, the feds pointed them to Meg Williams at the CDPS Division of Criminal Justice (DCJ). Meg is the manager of DCJ’s Office of Adult and Juvenile Justice Assistance and is considered a national and even international expert in the field of juvenile justice. Meg assisted the Eastern European country of Georgia with developing juvenile justice diversion programming in 2010 and has presented criminal justice best practices to various international delegations. Leaders in Suriname recognized that they need to implement system reform. The country’s justice system has little differentiation between the way it handles youth and adult offenders. It also lacks the type of prevention, tracking, diversion and community-based corrections programs that could keep juveniles from becoming repeat offenders. When Suriname asked Meg for her help, she answered the call and quickly engaged Joe Thome of Colorado’s Division of Youth Corrections. (Joe recently accepted an offer to serve as the Deputy Director of DCJ and will start that position in September.) Together, Meg and Joe drafted a plan, which they sent to the Suriname Ministry of Justice for approval. They also performed a pre-assessment by sending a survey to participants from all sectors of the country’s justice system, including law enforcement, prosecutors, judges, public defenders, prison wardens and social workers. judges, prison wardens and social workers. In July, Meg and Joe traveled to Suriname. Meg used her own annual leave to make time for the week-long trip, which was funded through a grant from USAID. 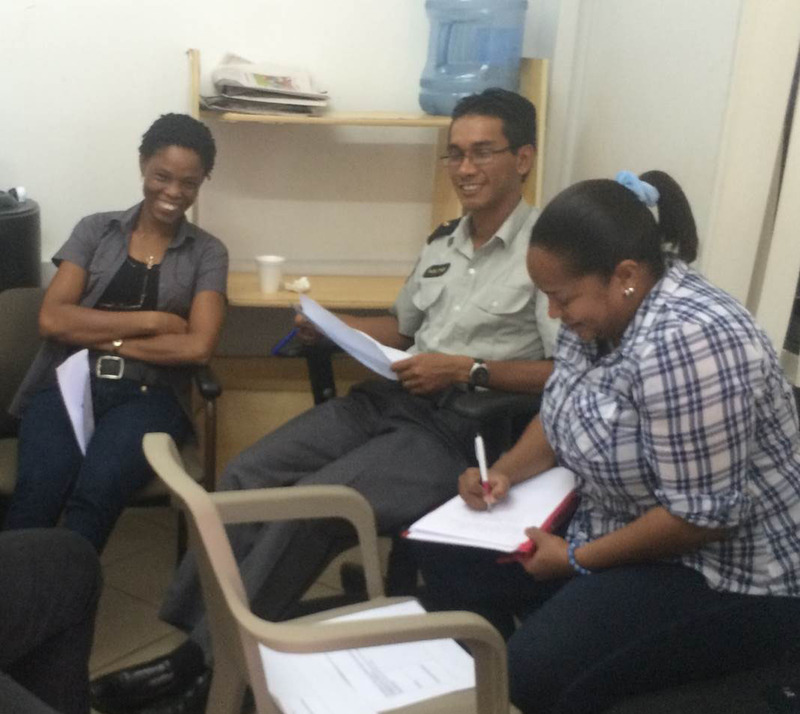 While in Suriname, Meg and Joe led trainings on evidence-based juvenile justice best practices. They facilitated discussions and planning sessions and helped the multi-disciplinary team form a plan for implementing system reform. 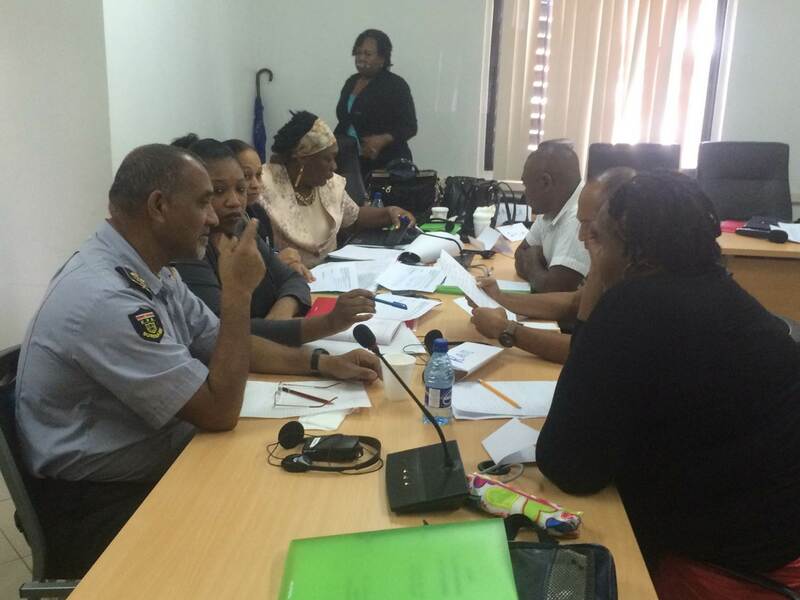 More than 30 people representing all sectors of Suriname’s juvenile justice system participated in the summit. Changes won’t occur immediately, due in part to the country’s precarious financial circumstances. But Meg is optimistic that the seeds planted during July’s summit will slowly grow into systematic change. For example, the Suriname team will now tackle data collection as one of its first achievable steps. Improving basic data collection will likely identify that a significant portion of youth offenders in their prisons are not a danger to the public and would be better served by community-based programs rather than incarceration; getting a solid number on those offenders could, in turn, help to identify the potential for cost savings through a reduced prison population, which in turn could free up funding for diversion and other community-based programs that currently don’t exist in Suriname. Additionally, solid data coupled with a solid plan could open doors for grant funding to launch new programs. a group activity during the training led by Meg & Joe. “During the initial phase, it will be difficult to implement changes due to the financial crisis, but our hope is that this plan could identify opportunities for funding,” Meg explained. Already, her work has led to change within the system. Representatives from different agencies who previously communicated rarely – and may have viewed each other as opponents – have opened a dialogue, identified common goals, and have committed to meeting monthly to continue their progress. 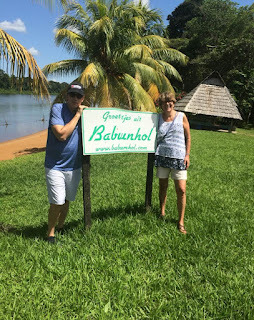 Joe and Meg by a sign greeting them to Suriname.